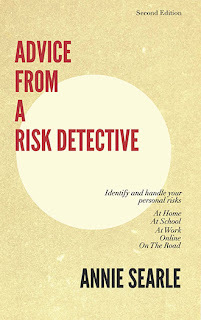 Advice From A Risk Detective: Do you know what they know about you? An article this morning in the New York Times, titled "New Airport Screening Would Plumb Personal Data," illustrates just how difficult it is to balance the demands of security with the right to privacy. The Department of Homeland Security is looking for a more intelligent way to screen passengers than the Transportation Security Administration (TSA) currently uses. Gathering additional data appears to be the route they want to pursue, through what they describe as a "risk-based approach." If you have a view on where the line should be drawn on data gathering -- described in this article as "data individuals have volunteered by applying for trusted traveler programs, as well as information gathered through terrorist watch lists, criminal background checks and border checkpoint encounters -- then please drop a line to your congressional representatives and urge them to ask the TSA to align with European privacy standards, just as they are aligning with European lists on items prohibited from the airplane cabin.